Allen Steele was born in Nashville, Tennessee, and received his B.A. in Communications from New England College and a Masters Degree in Journalism from the University of Missouri. 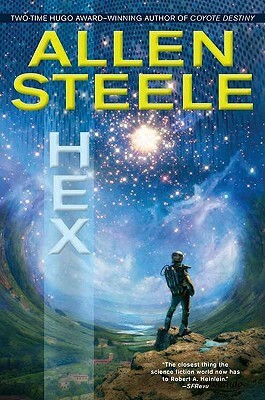 Before turning to science fiction, he worked as a staff writer for newspapers in Tennessee, Missouri, and Massachusetts, as well as Washington, D.C. His previous novels include "Orbital Decay; Lunar Descent; Clarke County, Space; Labyrinth of Night; Jericho Iteration; The Tranquility Alternative; Oceanspace, " and "Chronospace" (all available from Ace). He is a two-time winner of the Hugo Award in the novella category. He lives with his wife, Linda, in Whately, Massachusetts.